This article is an introduction to the Idra Zuta. A holy section of the Zohar that describe the last day of Rabbi Shimon on earth. He planned his departure from this world to the detail. He created for us a door to the supernal and left us the key to open that door. There are many parts of this article that may be difficult to understand for a person who is new to Kabbalah and the Zohar. But the more you repeat reading, it will get clearer and more importantly, it will be part of your soul. 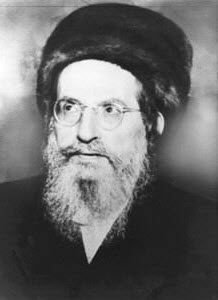 The special event called Lag B’Omer or the thirty third day of the Omer is the death anniversary of Rabbi Shimon bar Yochai. It is not a simple holiday. It is a day when the gates of heavens are open. Make an effort to celebrate this night and day with people with the same consciousness. The following article is not an easy reading. It’s not too short but together with the Idra Zuta it is the best way to connect on Lag B’Omer. I highly recommend you to read it and share this document with all your friends. The Idra Zuta, meaning small assembly, is a section of the Zohar, found inside the portion of Ha’azinu. Last year I wrote a commentary to Haazinu and started revealing the connection between Rabbi Shimon, Moshe, Haazinu and the Idra Zuta. I had mentioned there that the parasha is considered as the song of Moses. It is written in the Torah in a very unique way and the style is also different. The whole song is written on two special columns, which are split into two, each to become 4 columns of text. Before the song starts we have 6 regular lines of Torah text, then 35 lines split into two columns then on the next Torah Column we have the reverse image. 35 lines split into two, then 6 regular lines. This arrangement also looks like two doors, one opens toward the heavens and one door opens toward earth. In the parasha we find a very unique word in the Hebrew language that has only one letter, which is the letter/word ‘He’. It appears as a large letter, which means that it connects to the level of Binah. The reader of the Torah should read it as a separate word and not connect it to the next word as it is normally read. This letter appears twice in the Tetragramaton, one time for Binah and one time for Malchut. Here, it tells us how Moses connected the upper and the lower, like at the beginning of the songs by calling upon heaven and earth to listen to his song and with that he created the necessary gates for us and for himself. As I explained in previous commentaries, he will come back. He has the key and the gates. Last point I want to share with you is that in the Zohar portion of Haazinu, we find a special section called “Idra Zuta”. In this part Rabbi Shimon reveals the secrets of Zeir Anpin (six sefirot of Chessed, Gevurah, Tiferet, Netzach, Hod and Yesod) and the connection to the final Tikkun. Also in the Idra Zuta,Rabbi Shimon is leaving the world and his departure is described in details. Why is the Idra Zuta placed inside Zohar Haazinu? The Ari, tells us that Rabbi Shimon had a spark of the soul of Moses. He came to the world to reveal the Zohar, in order to support the Shechina on the days before revelation of Mashiach and to give us a powerful tool of connection and protection. The Zohar and Rabbi Shimon are directing us to the gates that lead to Zeir Anpin, the “Light”. Moshe and Rabbi Shimon shared a mission. Just before he passed away, Moshe created the gate in the Torah at the level of Zeir Anpin. Rabbi Shimon created the parallel gate at the level of Malchut with the seventy Tikunei Zohar. The last paragraph of Zohar Haazinu, just before the Idra Zuta, says “When Moshe said “Give ear O heavens…” the worlds shook and a voice said Moshe Moshe why are you shaking the whole world, you are only human, and because of you the world is shaking. Moshe answered “Because I call with the name of God” (Deuteronomy 32:3). At that moment they became silent and listened to his words. As you will read in the Idra below, Rabbi Shimon started his revelations with the gates of heavens opened in the presence of the Shechinah (The female aspect of the God in Malchut) and seventy righteous souls from the highest level of the Graden of Eden. The Tikunei Zohar is the key to the gates created for us by Moshe and Rabbi Shimon. The Zohar testifies to that in the section of Naso, “Because the Israelites will taste from the Tree of Life, which is this book of the Zohar, they will go out of exile with mercy”. Read the Idra Zuta to connect to the heavenly gates, especially on the day of Lag B’Omer. The more people use the key of Tikunei Zohar, the better are our chances to open the supernal gates and flood our existence with the upper light that will remove all darkness from the world. If you read so far you are a person that cares, you are spiritual and understand the value of spiritual tools. Connecting to spiritual tools and care for others are the keys to spiritual change on a personal and global level. The Daily Zohar project (http://DailyZohar.com) is such a tool. It gives free access to the Seventy Tikune Zohar to all people that wish to open the gates and make positive change in the world. Reading the Idra Zuta help us understand the process of opening the heavenly gates.